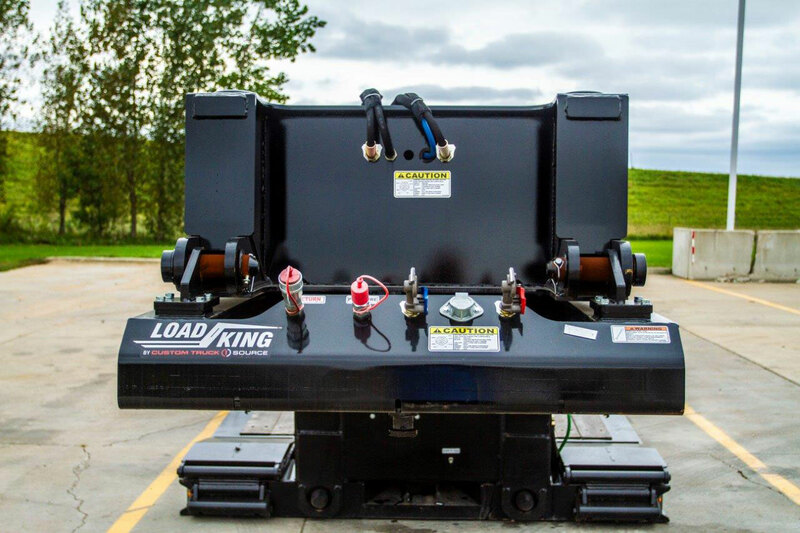 The Load King 553-SS Signature Series trailer is a 55-ton (110,000 lbs.) hydraulic detachable gooseneck with an estimated base unit weight (plus or minus 3% before options) of 20,500 lbs. With a non ground-bearing scraper gooseneck design, this trailer has an overall length of 52′ with standard specs and 102″ wide deck and axles. 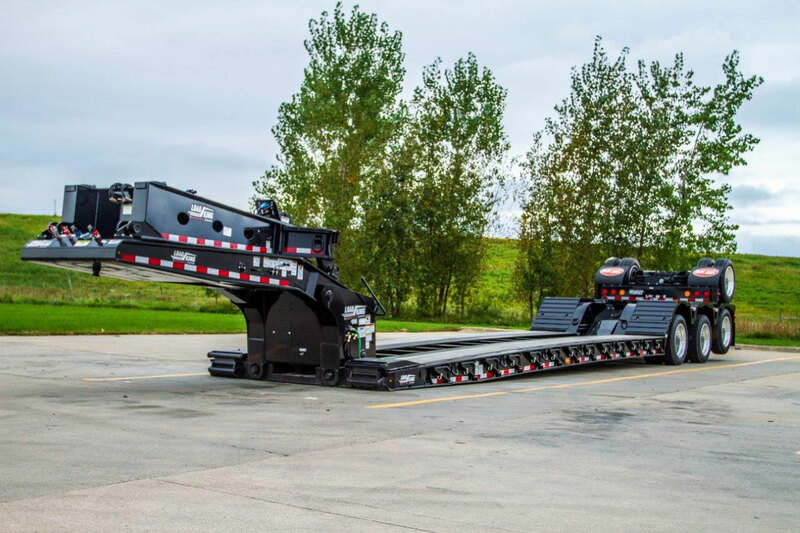 Additionally, this gooseneck’s swing clearance is 98″ and has a fifth wheel height of 51″.